This is a RS-485 networked Fireworks control system. It will be used to link multiple firing boxes over a single twisted pair network. Each node is an Arduino based control box that can fire up to 6 pieces. 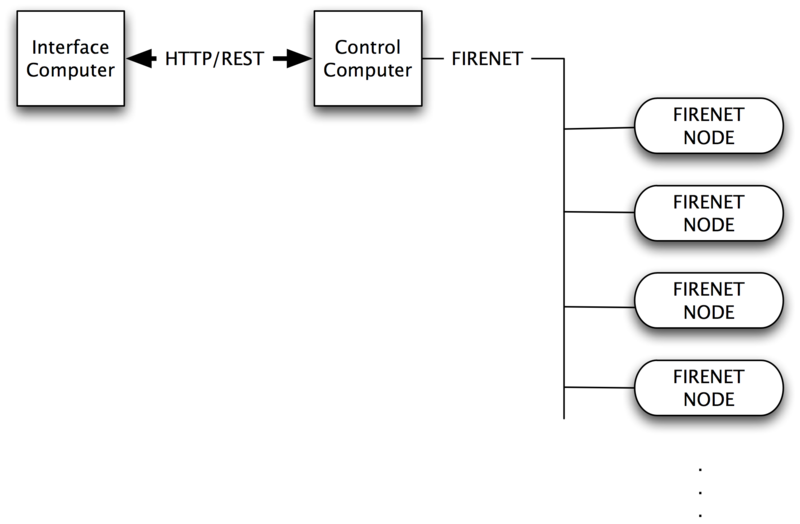 Central control of the network is via a Lua based web server. The user can then control the system from any browser. The distributed intelligence of the system allows relaxed timing requirements since all the high precision timing actions can be done in the nodes. The system synchronizes all the node clocks so timing of firing is done there instead of the central controller. With synchronized clocks the nodes can fire simultaneously by preprogrammed instructions rather than commands over the network.